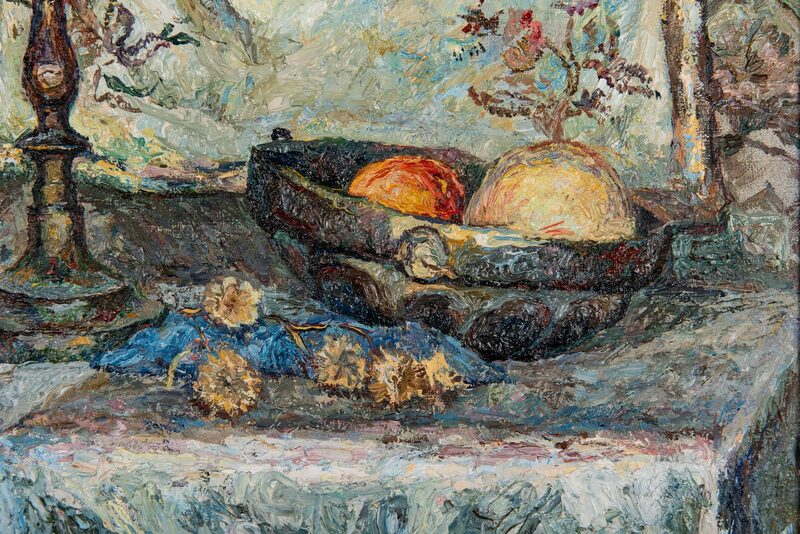 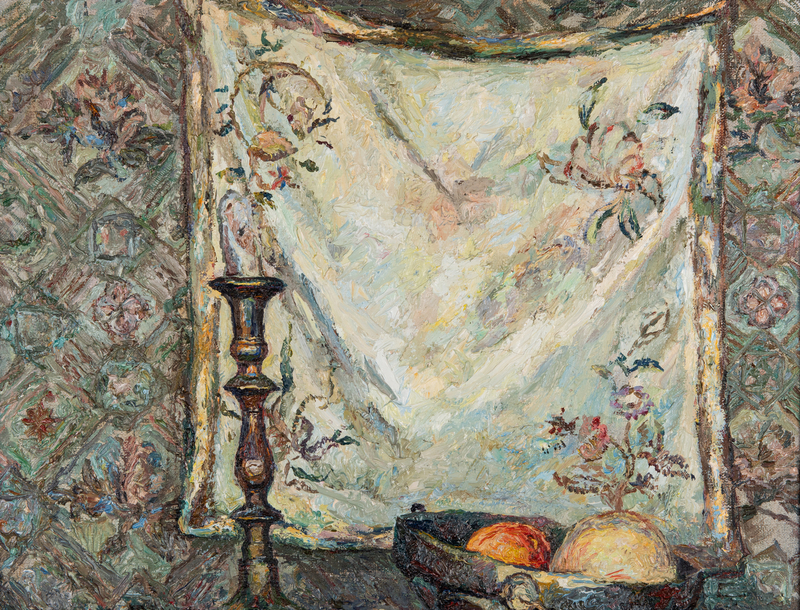 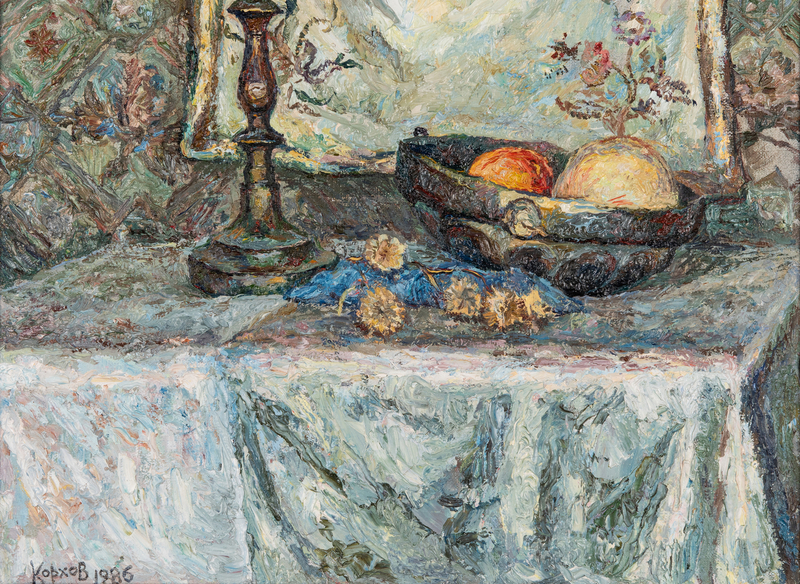 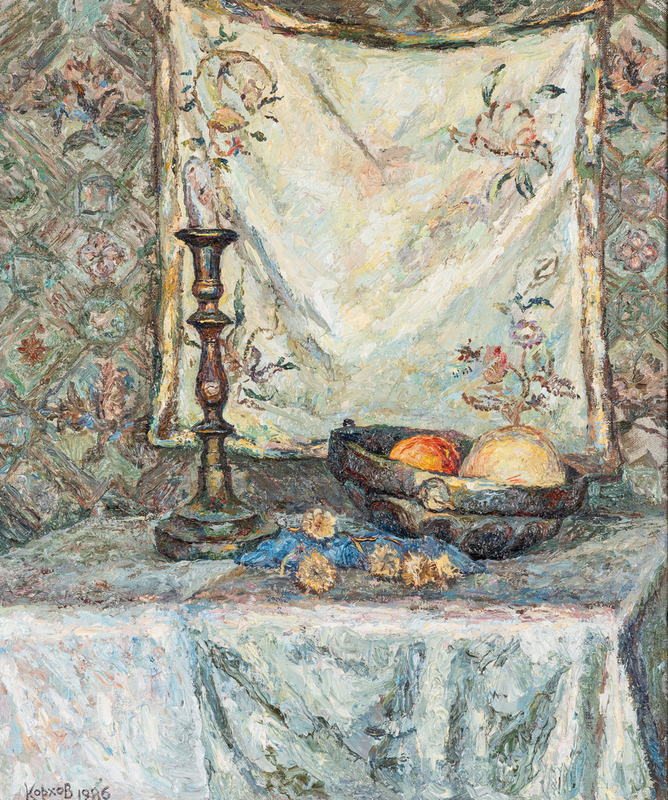 Russian impressionist oil on board still life depiciting a bowl of fruit, candlestick and flowers on a table top with an embroidered linen backdrop. 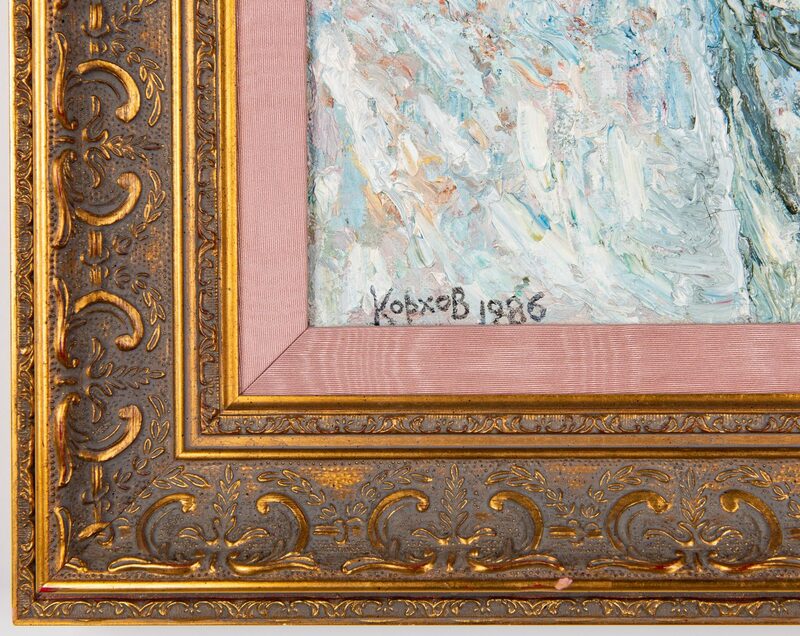 Signed and dated lower left "Kopxob/1986". 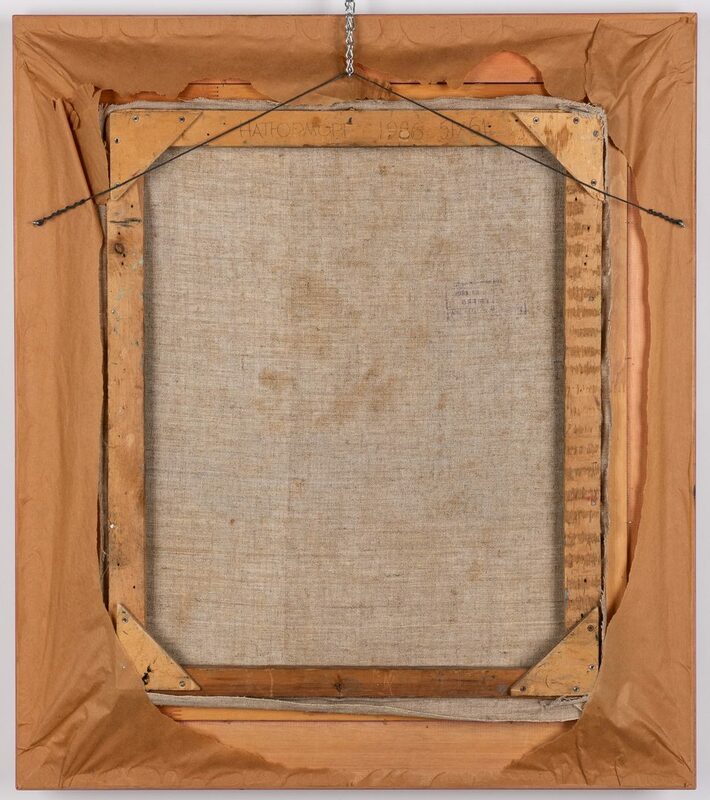 Housed in a carved gilt frame with pink satin liner. 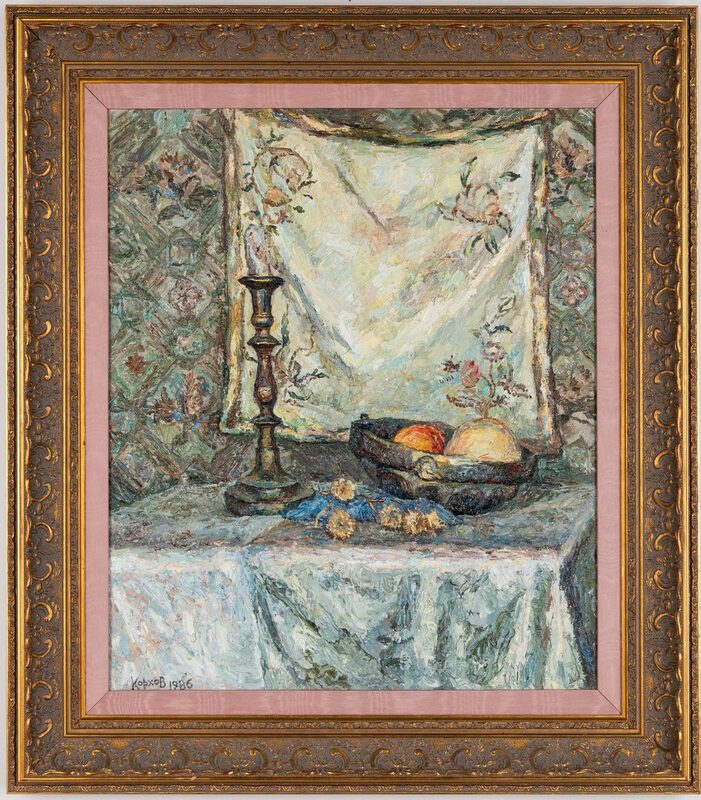 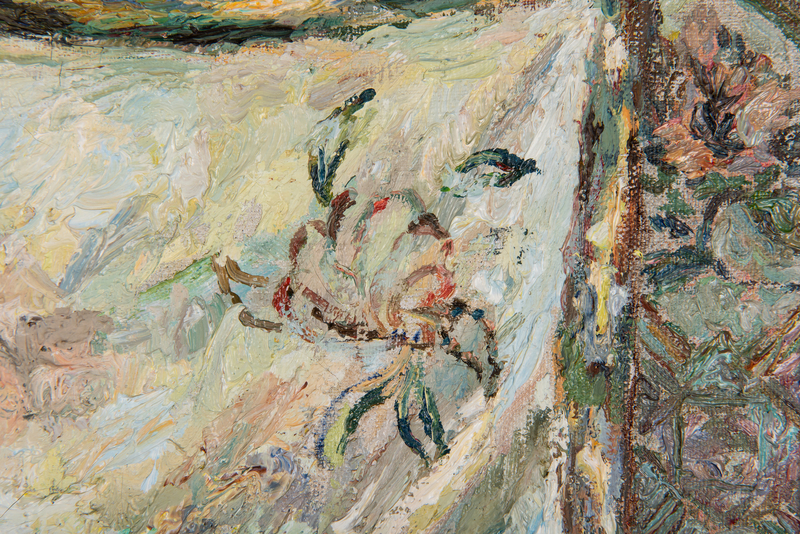 Sight -23 1/2" H x 19 5/8" W. Framed – 31 5/8" H x 27 7/8" W. Provenance: The Estate of Larry Casey, Jackson, Tennessee. 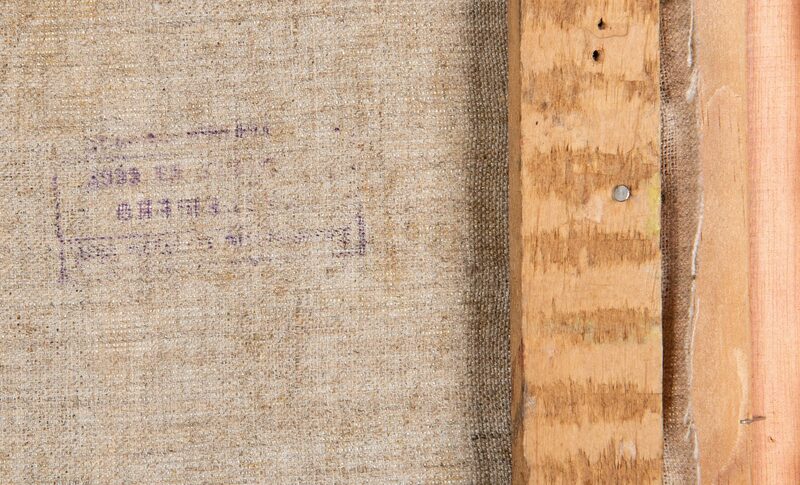 CONDITION: Overall very good condition, one area of indentation to canvas at matte seam, lower right margin.